A new parish organization called The Mary and Martha Volunteers was established on January 1, 2019. 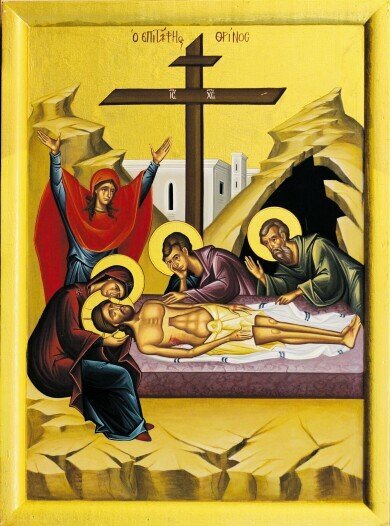 Mary and Martha were the sisters of Lazarus, the good friend of Jesus whom Jesus raised from the dead, the event we commemorate on Lazarus Saturday, the day before Palm Sunday. One day when Jesus came by with a large number of people Martha was quite busy in the kitchen preparing food and drink for the guests. Mary was sitting at the feet of Jesus listening to every word. At one point Martha, out of frustration, complained to Jesus that her sister was not helping her. Jesus pointed out that Mary had chosen the right thing to do. This was not to criticize Martha but to point out that the word of God takes precedence in all we do. To that end, this new group will have two components ..... to assist in hospitality coordinating and hosting the social fellowship times following services and to do outreach to our visitors and parishioners in a positive, healthy expression of fellowship. Coordinating this group is Linda Wells. To become part of the group of volunteers speak with Linda or contact her at linda@lindawells.net.